This past October, Sens. Jerry Moran (R-KS), Pat Roberts (R-KS) and Amy Klobuchar (D-MN) circulated a letter to their fellow senators encouraging the FCC to address the Universal Service Fund (USF) budget shortfalls. 1. High Cost Support Mechanism provides support to certain qualifying telephone companies that serve high cost areas, thereby making phone service affordable for the residents of these regions. 2. Low Income Support Mechanism assists low-income customers by helping to pay for monthly telephone charges as well as connection charges to initiate telephone service. 3. Rural Health Care Support Mechanism allows rural health care providers to pay rates for telecommunications services similar to those of their urban counterparts, making telehealth services affordable. 4. Schools and Libraries Support Mechanism, popularly know as the “E-Rate,” provides telecommunication services (e.g., local and long-distance calling, high-speed lines), Internet access, and internal connections (the equipment to deliver these services) to eligible schools and libraries. 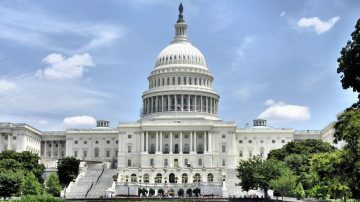 The NTCA – Rural Broadband Association organized a Washington, DC fly-in on Oct. 27th to meet with Senators and their staff, lobbying on behalf of the aforemented letter. As of Monday, Oct. 30th, both NC senators, Richard Burr and Thom Tillis agreed to cosign the bipartisan USF funding letter which has been supported by 37 House members. Click the link below for more information and to read the letter.